In this episode, Dr. Dan discusses the importance of allowing your body and mind to fully rest when you are feeling under the weather. When Yogis are feeling what some call sick… they just say their body is cleansing. Just like how Mother Earth will cleanse itself with its rain. During this cleansing time, it allows you to reflect and look deeper within. Allow yourself the time you need to fully recover and come back even stronger and more committed to your mission and purpose in life. 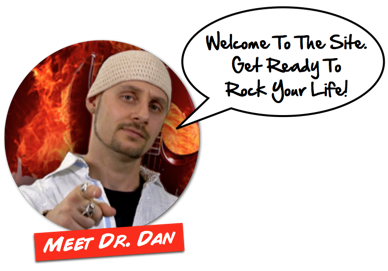 Dr. Dan: Hey fellow RockStars in life, Dr. Dan here, and unfortunately I do not have my lovely co-host Siri Shakti with me today. This is actually a perfect time to go over the lesson that we are calling “I Am Not Sick” or, “I'm Not Sick” for short. This is a great time to do that because Siri Shakti is sick right now. Actually, she's what some would call sick or under the weather, but this is why I want to discuss this, because this is something that we learned many, many years ago that's served us very well and it's helped us through our lives. That's when you're feeling under the weather or what some people would call sick and somebody asks you know, like, “Oh hey, how are you doing?” Or “How're you feeling?” I mean, your natural reaction is to say, “I'm sick,” or “I'm under the weather,” or “Oh man, you know, my throat's all messed up,” or all this stuff, right? Well, I love what I heard many years ago from yogis. Yogis, they don't say that they're sick, instead they say their body is cleansing or they are going through a cleanse. It's very beautiful, just like when you think about the rain and the earth, the earth cleanses itself by having rain. It's just coming down and it's washing away a lot of gunk in the world, right? So how beautiful is it to say, “My body is cleansing,” or “I'm cleansing.” That's awesome, that's what I do. Every now and then I catch myself about to say, “Oh, I'm not feeling good.” Well, no, I'm cleansing. My body is cleansing. I love that because too many people try to fight and suppress them feeling sick or under the weather. I'll use the word sick, but you know I mean body cleansing, but this is what most of the people call it, is sick. So, a lot of people try and fight that. They try and say, “You know what? This can't happen right now, this is the worst time that I can be sick,” and that might be true, but is it really? 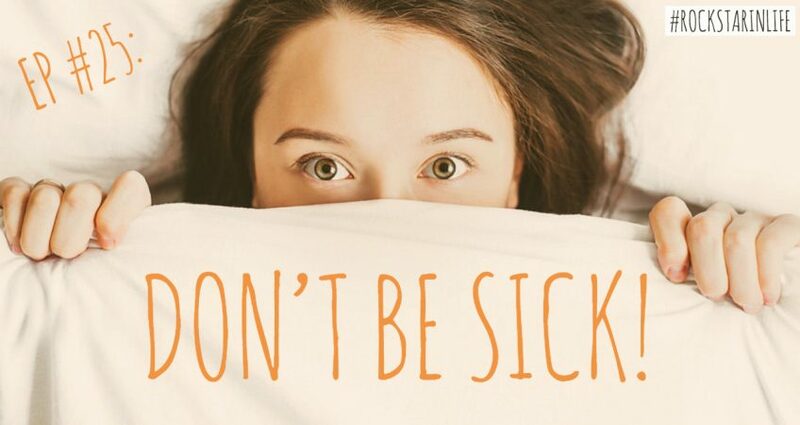 Is it the worst time that you could be sick? Maybe to you it is, but maybe it's exactly what you need, 'cause I will tell you that there have been times I was under the weather, I was sick, my body was cleansing … as I'll say it today, but my body was cleansing and it felt like it was the absolute worst time that it could happen, 'cause I had so many things to do. But, because it forced me to sit back, relax, and recover, to eat clean, to drink lots of water, to lay in bed, to watch some funny shows, to just kind of lay around and just be left alone and be able to stay in silence, 'cause everybody would leave me alone because I was sick and they knew that, or they knew my body was cleansing, right. Let me go back to that, right? So, it allowed me to get the rest that I needed so I could actually be recovered and actually come out even stronger. Even while I was feeling it and I was relaxing, all of a sudden things would come to me like ideas and solutions for things that I was actually struggling with. It's like that saying, “Let's sleep on it,” we're kind of stumped, or “I've got writer's block, I'm going to sleep on it, and then I'll look at it with fresh eyes in the morning.” That's what happens when you allow yourself to sit back and do what your body is requiring. Because think about it, what is getting sick? Getting sick is your body saying, “Look, you need to take a rest, you need a break and you need to get better before we keep going otherwise you're going to die.” Right? Because if you kept pushing forward at full force, I mean you could get even sicker, end up in the hospital, and if there is no hospital you get to in time, you know, it could be even worse. You don't want that to happen, right? Don't try to fight it and suppress it. When I say suppress it, I mean that taking medication so that way your symptoms go away, like a runny nose and the fever … and just to be clear, I'm not saying don't take any medication. But I'm saying don't take medication just so you can work more and try and push it down and just power through it. As people say, “I'm going to power through it,” and I know so many people that I've worked with, or work with even, that take medication constantly whenever they're starting to feel under the weather. When their body starts to cleanse, they don't look at it as cleansing, they look at it as their body attacking them and trying to stop them from doing what they need to do. So then they take all this medication to try and work more, and then what ends up happening is they're coughing for two or three months, and they're constantly just miserable. Sometimes it comes back in another month or two after the symptoms start to go down, all of a sudden, boom! It hits them again and they get sick again, and they'll get sick three, four, five times a year. So you don't want that to happen, you want your body to get stronger after it goes through this cleanse, right? Again, I'm not saying don't take medication, but don't overdo the medication and don't take medication just so you can work harder, okay? But instead they just power through it, they push through it, they said, “I'm going to do it. I'm going to wear this badge of honor that I did it. I'm not going to listen to my body, 'cause my body's trying to mess with me, it's trying to mess with my goals.” Then all of a sudden six to eight months, they can't actually walk at all. They got to be on crutches or worse, they do permanent damage to themself. I know people like that, I'll give you an example, a friend of my … Actually I won't give it away, but I know somebody that was doing mixed martial arts and they were a fighter and they went pro and in one of their fights … and they boasted about this, right, 'cause the time I saw them, they were in this arm brace and with their arm in this cast with a bar and all this stuff, and these little pins, they're not little, these pins, these metal pins going through the cast and I'm like, “Oh my god, what is that? Oh dude, what's going on?” I actually saw the video of the fight, he was actually in a fight and he got into an armbar, right? This guy got an arm lock on him and he couldn't get out, he was stuck in it and he knew it was either tap out and I lose or let him break my arm and I lose anyways. So I started playing. I played for like three, four more hours and then the next morning, when I woke up, my ankle was so swollen I had to go to the hospital. I was like, “Oh man,” so fortunately I didn't break my ankle, I sprained it really bad. The doctor said that, “You sprained it the worst possible way.” He said, “You actually would have been better off if you broke it.” So to this day I remember, look, it's not worth it. I could have just sat it out, I could have just went home, rested and maybe it would have been a little swollen the next day, and maybe in a couple of days I would have been better and it wouldn't have taken me over a year and have to do rehabilitation for it as well. Yeah, don't do those things, right? It's like when you're in the shower or you're driving or you're resting and all of a sudden something pops in your head, “That would be a great idea for a business,” or, “That would be a great idea for my business right now to do something,” or I could do this, or I could do that, or a book idea, or any of those things, and all of a sudden it just comes to you. Well, that's the kind of stuff that can come to you. Some amazing, amazing ideas that if you kept pushing through and you didn't allow yourself to relax, you would never have come up with those. Remember the story about the water? Don't force yourself through the rocks, through the boulders, flow around or over and find the least resistance, the easiest way to get through, just like the water does, it just flows right through. In Fiji, we were doing the Oneness blessings, Deeksha, and we were there for seven days I want to say, and we had to sit in silence for a few days. I can't remember exactly … I think it was like five days or something like that, we had to sit in silence and we weren't allowed to talk to anybody or communicate with anybody. We just would sit through silence, we'd do meditation, we would do yoga, we would do all these really cool things. We'd be out in nature and just relaxing and it was the most amazing experience that I've ever had. It was like all this just around me opened up, and it was … the first day it was kind of difficult, but then things started just opening up and my mind was just like. “Whoa,” it was just so clear, I'd never experienced anything like that, 'cause I never had a reason to be quiet for that long, for more than a couple of hours, right? I thought it was amazing, and it's very enlightening, and today I love to just sit back, relax in silence, or sometimes I'll even … besides doing that, sometimes I'll binge watch a show that I haven't seen, or maybe I haven't seen it in a long time, and I'll watch maybe the whole season or something like that, and I won't do any work for one, two or three days. I'll just do that and all of a sudden, boom, just like that new ideas come up, or new motivations, or new things that I didn't think of. All of a sudden I'm like, “Ooh, there you go.” Or I get this moment of inspiration, and then I couple that with my commitment and then I push through. So you have to also not just be committed to what you want to do in life and to your goals and your dreams, right, but also be committed to taking time off. It's that balance to be able to sit back and reflect and not be pushing forward constantly. A great time to do this is when you get that pushback, when you have some big successes and all of a sudden you get that pushback, which could be your body cleansing, or you're just feeling under the weather, your your head's feeling a little groggy and you're not just into it. Well, that's when you need to sit back and just take some time, have that balance, relax a little bit, be that water like we said, flow, rest. Once you get better, once you're back to feeling that 100%, then keep moving forward towards your goal and your mission. Use that time to reflect, go inside yourself. You know, I love to watch comedies, and again, we're talking about whether you're feeling under the weather, or you're in a rut, or if you are cleansing, if your body's cleansing. Watch lots of comedies, that is really good for you. It is really good for you to watch those comedies and get those good feelings. I remember there was a … I can't remember the guy's name, I'm just thinking of the top of my head now, but I remember hearing a story about a doctor that was a … I believe he was a cancer doctor, and he cured himself by watching comedies. All he did was lock himself … I guess he rented a hotel room or something like that, and rented all the best comedies that he loved and once that he hadn't seen yet, and just watched them back to back to back. From what I remember, he cured himself. 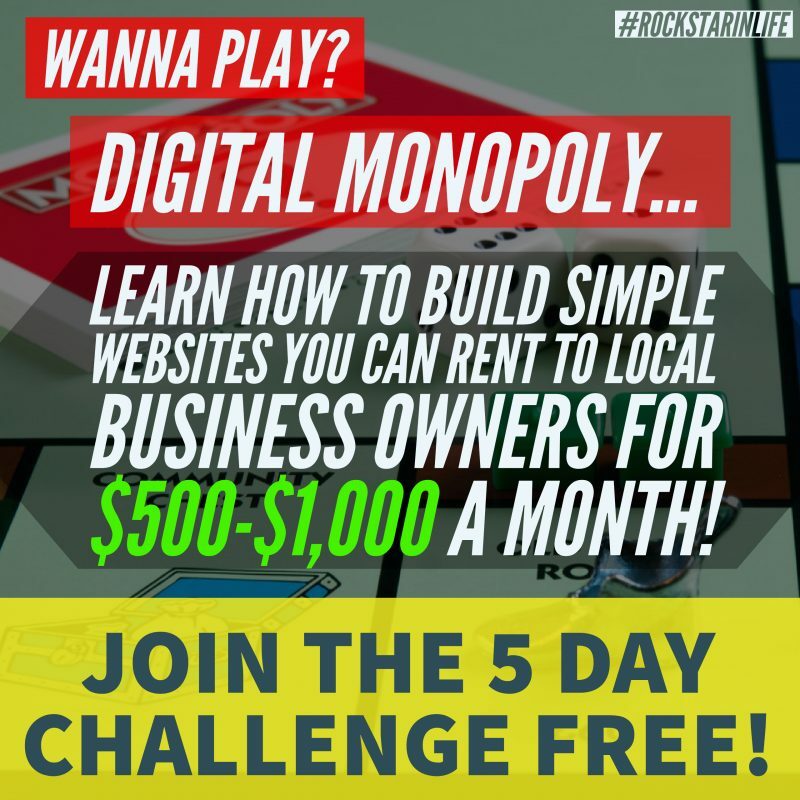 So, I'm not saying that you need to go rent a hotel room and do that, but do it, watch some comedies, relax, close the door, lock the door, watch a lot of comedies, and when the new ideas come to you, write them down. If no new ideas come to you, that's fine as well. Maybe you needed that full rest. Don't force it. It's not time for brute force, it's time to relax, cleanse and flow, and to remember to drink lots of clean water, okay? That would be something like reverse osmosis water, even distilled water if you don't have access to reverse osmosis water. Don't just drink that tap water, or the water you get from those crappy water bottle companies that are owned by Coca Cola and those other companies. So drink good water for you, eat lots of water rich foods, plant based foods, greens, veggies, things like cucumbers, spinach, kale, even carrots, zucchini, bell peppers. I mean even jícama … if you haven't had jícama, it's really good, even avocados. Avoid heavy foods and blood floods like meats and things like that, completely avoid that. That old saying about the chicken soup, “Have the chicken soup, it's good for …” No, don't. Have some veggie soup that you haven't boiled, but just brought to a warm heat, so you're not cooking out all the vegetable vitamins and everything out of there, so you don't want to overcook them, you don't want to bring it to a boil, just warm it up. With veggie soup, with veggie stock, which you can get at a lot of the grocery stores and not using chicken stock, which is melted chicken's basically and their bones and their beak and all that other junk. All right, so that's pretty much it, that's what I got for you today. I thought this was the perfect opportunity to teach you this lesson that we learned. Right now Siri Shakti has been locked in the room, in the bedroom watching comedies one after another, and eating water rich foods just like I told you to do, and that's what she's doing, and that's what I do when my body's cleansing as well. So before we get into our RockStar mission for today, I want to remind you to go to rockstarinlife.com for links to resources mentioned in this episode, the episode transcript, download the free books, training, yoga, meditation, homeschooling advice, and so much more that we're adding every single week, go to rockstarinlife.com and join The RockStar In Life Revolution. All right, so what is your RockStar mission for today? Well, it's really simple. Commit right now that the next time you get sick, which we call now … what do we call it? Your body is cleansing, or you're feeling under the weather, which is the body cleansing, that's what you're going to call it. So my body's cleansing, you will allow yourself to take the time you need to recover fully, and not to force or rush it. Relax, listen to your body, allow yourself to receive the messages you would've missed if you tried to power through it. Enlist the help of your family and your friends, your kids, whoever's around you, have them help out while you're feeling under … I'm sorry, not under the weather, while your body is cleansing, and you do the same thing for them so that way you've got each other's back, right? Awesome. All right everybody, remember to be a RockStar in your life, make the world your stage. 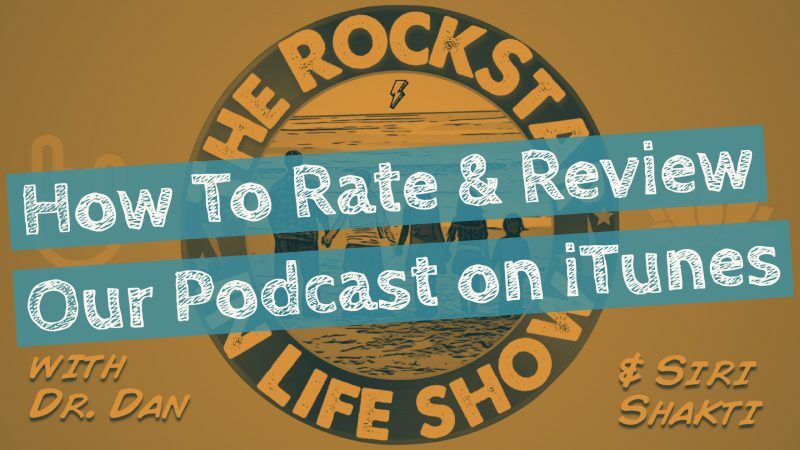 Thanks for listening to RockStar in Life, your source for unleashing your inner RockStar. For more tips, training and free stuff, be sure to go to rockstarinlife.com and join the RockStar in Life Revolution today. Thanks again, and don't forget to make the world your stage.